September 28 at Noon – 2pm at the Lago Vista Public library for the first event of the year. Brought back by popular demand, Mindy Hensen will be teaching her Mosaic Jewelry class. October 26- Trisha Wells will be teaching us how to Paint and Décor Pumpkins for the holidays. November 2-Mark your calendars for the Annual Christmas Card class on Friday, . See examples and sign-up sheets at the Luncheon SIG table. A fast –paced dice game that’s easy and fun. Bring along $2 for the prize kitty. Goodies are also available. 2nd and 4th Mondays (September –May) at 2pm. Bluebonnet Room, Activity Center. We are a group of Compassionate, Attentive, Reassuring, and Encouraging ladies ready to hear from you! CARE members are here to provide cheer and encouragement to all club members. Please let us know if you or a member you know is ill, in the hospital, facing an upcoming surgery, or going through a difficult time. We will make phone calls, home visits if desired, and provide a grocery help service for members that are ill or homebound. If you need a ride to the monthly luncheons let us know. We are here for you! Christmas Elves This group of ladies will decorate and undeck the K-Oaks halls for the Christmas holidays. 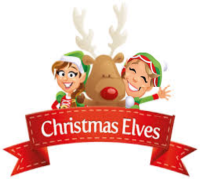 They will meet and work on decorations and discuss decorating ideas. Locations and times to be announced. Each month, a few of the participants plan a 4 course meal, pick up the ingredients, make copies of the recipes and verify that all of necessary pots, pans , etc. are available. The first Monday of the month the 16 participants break into 4 teams and prepare the meal. As with most Women's Club activities this is accompanied by comradery and much laughter (and satisfied bellies)! The 2018-19 Cooking Pot season will kick off with sign ups for the October and November festivities. Lead "chefs"and hostesses have been chosen. This year the menus will be a surprise to the participants. Warning! There is always a waiting list. Registrants pay a share of the costs of the meal. If the registrant is unable to attend, she must inform the coordinator by the Saturday morning preceding the event; an attempt to find a substitute will be made. If no substitute is found, then the money will not be refunded. Explore the ins and outs of modern technology by stripping away its mystery. They cover everything from email management to Smart Phone apps in friendly, no pressure sessions at the Lago Vista Public Library Tuesday mornings.10AM, (Except Luncheon Tuesdays). Sign up for the email distribution list and be advised of upcoming sessions. PLEASE RESERVE A LAPTOP IF YOU DON'T BRING YOUR OWN. RESERVE HERE . Sessions begin September 18 with a beginner workshop to familiarize newbies with a computer. 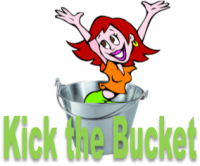 What’s on your bucket list????? You may find that the this group will be planning an event you won’t want to miss. There will be concerts, courthouses, churches, museums, shows and curious antiques! All sorts of fun activities are being planned, so watch for the LVWC Newsletter for the next event or listen for the announcement at the LVWC luncheon. Add your two cents and, let’s go traveling whether it be by limo, Cap Metro Rail or car… A great time awaits!!!! Play Bridge for fun and practice—if you are new to bridge or if you haven’t played in a long time—come and play while Mary Ann provides tips and guidance. Every Friday, 10:00 am to noon. Bluebonnet Room, Activity Center: American Drive at Boggy Ford. All Year! 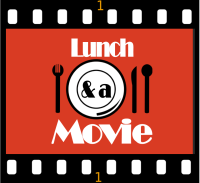 Once a month we plan to go to a movie and have lunch. Come join us and get to know some of your fellow members. Sign up once and you will receive the information every month, about a week prior to the outing, with all the details of what, when and where. Usually the 4th Tuesday of the month but may vary due to Holidays. 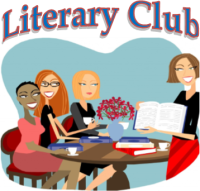 OUT AND ABOUT GROUP: This SIG is committed to getting LVWC members together and out of Lago Vista, familiarizing them with our Central Texas area and each other outside of the formal luncheon environment. Our outings are typically day trips that are within 2 hours car travel from Lago Vista, during the week, and during the day. We always have lunch out somewhere near our destination. Most of our trips are “pay as you go,” but if there is an admission fee or a deposit required, you may be asked to pay when you sign up. When you sign up, you are committing to the date, and you are taking one of the 20 available slots for that trip. The outing dates and plans will be announced at the LVWC luncheon as they are planned. So, mark your calendars and please let your group leader know if your situation changes and will be unable to make the outing. 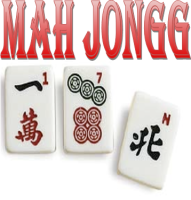 MAH JONGG is a table game played using the National Mah Jongg League rules. It is a very fun game of luck and skill. We welcome all players, experienced or brand new to the game, so please come to Tutta Italiana Coffee Shop Wednesdays from 1:00-4:00 (year round). 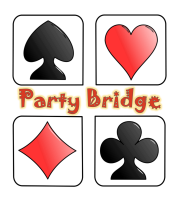 Party Bridge is for those who like to play bridge for fun! Prizes are awarded each session. $2 per session on the 1st, 3rd and 5th Fridays of each month! 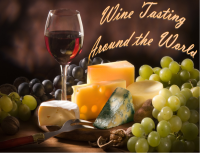 WINE TASTING AROUND the WORLD is a chance to explore the flavors of food and wine from different regions around the world, from right here in Lago Vista! We choose a different region each month, taste wine made from the area, and bring homemade tapas-style appetizers made from the flavors of the region. Members sign up in advance, pay $10 to coordinators for the wine purchase, and bring their dish to the designated hostess's home on the 3rd Monday of each month. Leftover funds get donated to the philanthropic fund at the end of the year! Reservations and payment must be made in advance.